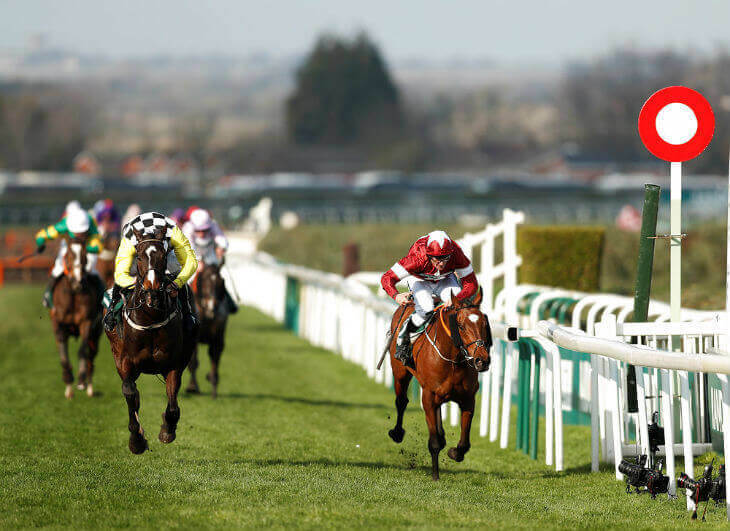 He’s not the biggest horse but Tiger Roll showed a heart of a lion to roar to success in the 2018 Randox Health Grand National. Well-backed in the build-up to the big race the Gordon Elliott-trained 8 year-old was sent off the 10/1 joint second favourite and it was a result that cost the bookmakers millions. It was a second win in the race for trainer leading Irish trainer Gordon Elliott, who saddled Silver Birch to win the race in 2007. However, it was a first victory in the race for 38 year-old jockey Davy Russell, who has had 13 previous rides in the world’s greatest steeplechase. “It’s outstanding,” he said. “The only time I enjoyed cleaning up the grass when dad cut it was around this time of the year because I could build my own National fences out of the grass. I’ve won this race a thousand times in my head, in my dreams as a child. Tiger Roll was well-supported after winning the Cross Country race at the Cheltenham Festival last month and despite many people thinking this small horse wouldn’t cope with the big National fences he proved them wrong. This win saw his total career earnings at £801,983 after picking up a cool £500,000 for winning the Grand National. At just 8 years-old then providing he stays sound then he’s got time on his side and could easily be a force in this race for many years to come. However, it goes without saying the handicapper will have his say and he won’t be running with 10st-12lbs should he make the race in 2019. It was actually an Irish 1-2-3-4 as the Willie Mullins-trained Pleasant Company was a close second (head) and you feel that in another stride or two would have got back up to pip Tiger Roll – but it wasn’t to be. Jockey David Mullins was on the fast-finishing second but having won the race in 2016 it was nice to see one of the older statesmen of the jumps weight room get his name on the roll of honour. Gordon Elliott not only trained the winner but also had the third – Bless The Wings – while the Tony Martin-trained Anibale Fly completed the Irish cleansweep for the places when finishing fourth. The best of the British-trained runners was Milansbar in fifth, who also provided female jockey Bryony Frost with a completion in the race on her first ride in the Grand National. It was heartache for last year’s fourth – Blaklion – as this 9 year, who was sent off a well-supported 14/1, was brought down at the very first fence. In total we saw 12 finishers from the 38 runners, with the last to finish being the 7 year-old Baie Des Iles but was around 85+ lengths off the winner.